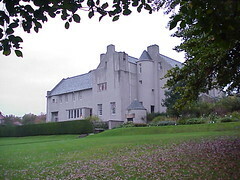 Charles Rennie Mackintosh was the architect of Hill House in Helensburgh which was built in 1902 for the Blackie family. 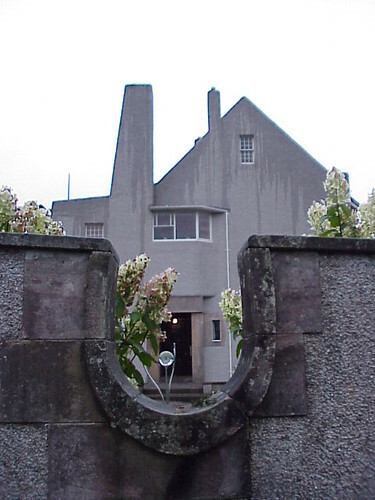 The dull exterior belies a glorious, mostly white, interior jointly designed by Mackintosh and his wife Margaret MacDonald but you'll have to visit to see that for yourself. 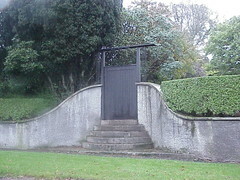 The National Trust for Scotland website has some interior photos and details of how you can visit the property. What a great blog you have! I loved all of your posts on Cape Town and Durban. It is a pity that you didn't visit Johannesburg but then again, all of the Art Deco beauties are located in the most dangerous of areas. Thanks Emm. Yeah didn't make it further than Johannesburg airport and I'm not sure if that is a good thing or a bad thing. :) Johannesburg can be an incredible experience for tourists - there is so much to see if you like history, architecture or urban settings - and for the most part, tourists are safe. But the specific areas that have art deco buildings are the older suburbs that once ringed the city centre and they have not yet been the recipients of renewal and regeneration. In other words, they are a little bit slummy still. Despite all of that, I miss SA a lot!